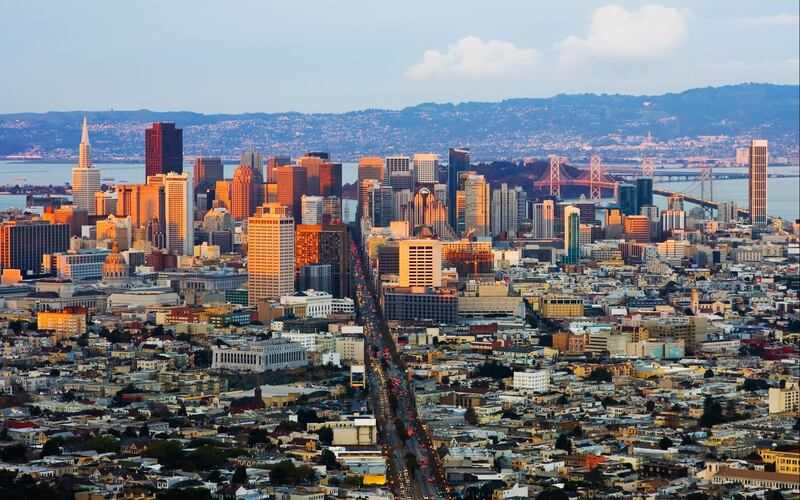 As we head into this festive time of year, San Francisco becomes a city of glitzy, glittery, holiday glam. 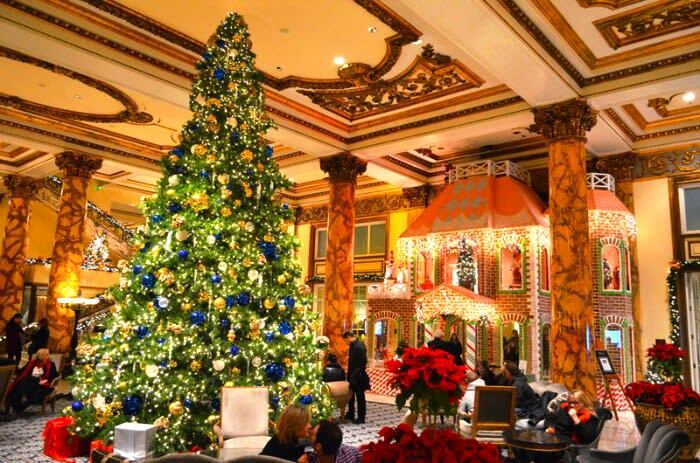 From the famous 50-foot tall, upside-down Christmas tree suspended from the Westfield Dome (one of the most photographed trees in the world), to my favorite -- the world's largest gingerbread house, which takes two weeks to bake, at Laurel Court Restaurant in the legendary Fairmont Hotel -- the sights and sounds of SF provide great fun for both children and grown-ups! 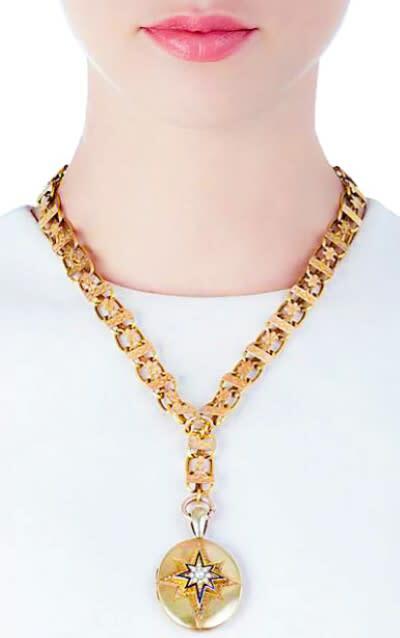 It's the Season of Sparkle & Shine! 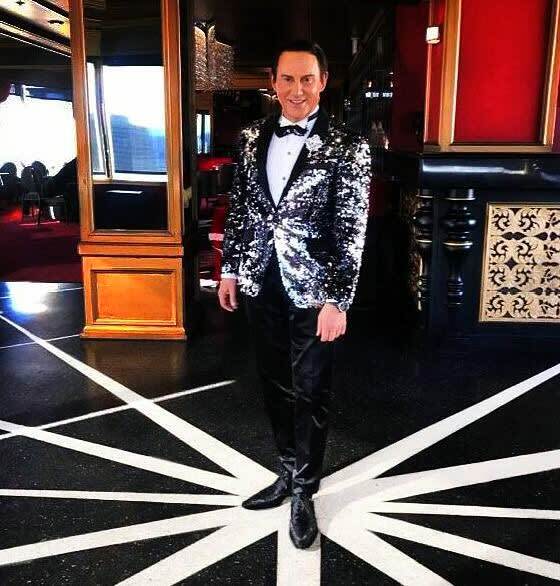 It's also a great time for wearing glitz and glitter, with the SF Chronicle calling it "the Season to Sparkle and Shine" in a dishy fashion roundtable that included style expert Sheree Chambers of Wilkes Bashford, society and fashion icon Sally Debenham, San Francisco personality Donna Sachet, and myself. It was so fun to be featured on the cover of the Chronicle’s Sunday Style section -- a great way to kick off the season! 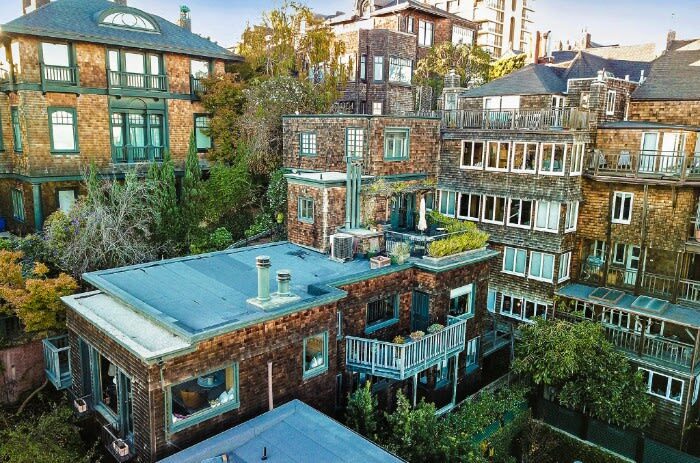 As I remarked in a recent interview with Bloomberg, the hottest "new" neighborhoods in San Francisco are the hottest "old" neighborhoods -- and this month I'm thrilled to be listing an early 20th century home, with absolutely spectacular views, in one of the best: Russian Hill! Designed in 1917 by legendary starchitect Julia Morgan (of Hearst Castle fame), the stunning residence, covered with beautiful redwood shingles, is an excellent example of the Bay Area's influential Shingle Style that Morgan championed. 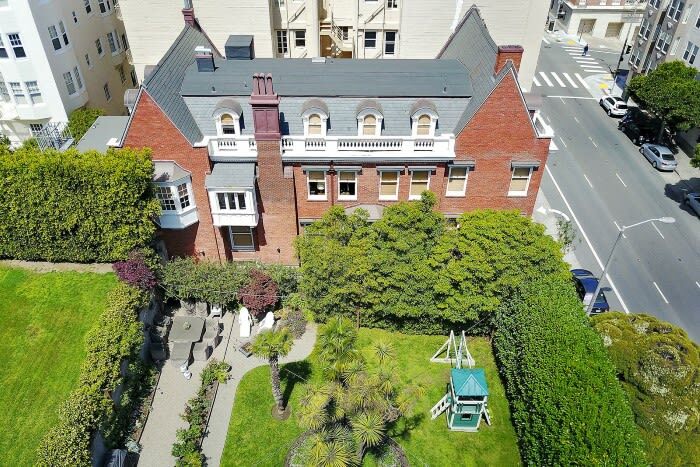 While we see a whole new San Francisco emerging, it's because of homes like this that the city remains world-renowned for its extraordinarily diverse collection of well-preserved Victorian architecture (you will be surprised to learn there are more than 10 different styles!) 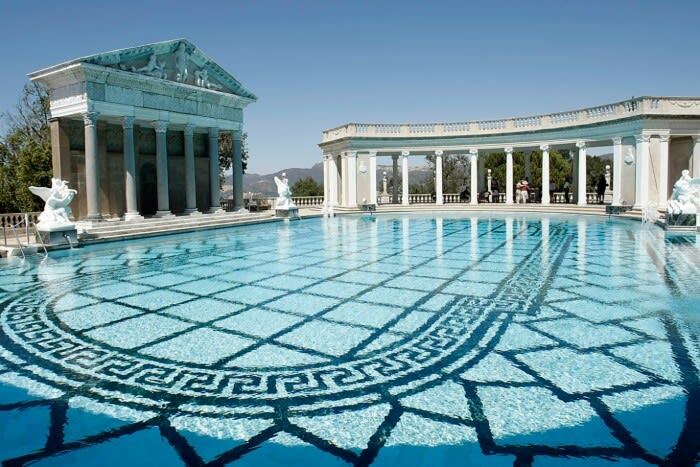 -- creating a fabulous juxtaposition of historical grandeur with a sleek new future. 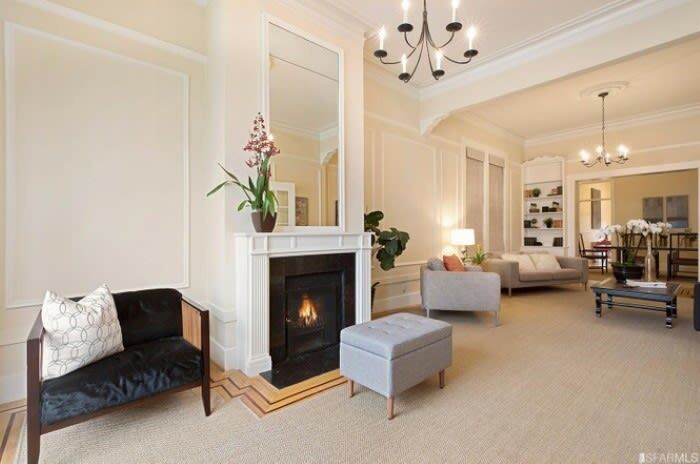 Exquisitely renovated by its second owner, the late advertising icon Hal Riney, the very special residence sits on a private gated lot surrounded by lush greenery, mature Monterey pines and brick pathways -- offering a wonderfully idyllic setting in one of the City's most treasured locations. It features four-car, side-by-side parking, three bedrooms with en-suite baths, and five full baths, a gracious entry, with a stunning staircase, formal dining room, sensational gourmet chef eat-in kitchen, an office, a family or media room, two fireplaces, three terraces, a landscaped garden, a patio, as well as security and sound systems. 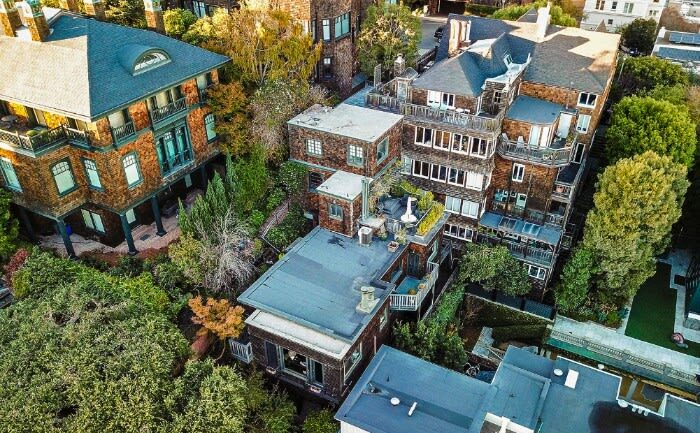 It's one of only four Julia Morgan residences on Russian Hill -- others being 1055 Green (covered by Architectural Digest), 1124-26 Filbert, and 2423-25 Polk -- making this a fantastic opportunity to acquire an important home by one of the nation's most respected architects. It will be very interesting to see what kind of events will be held this space, with some of the best views anywhere in the world! 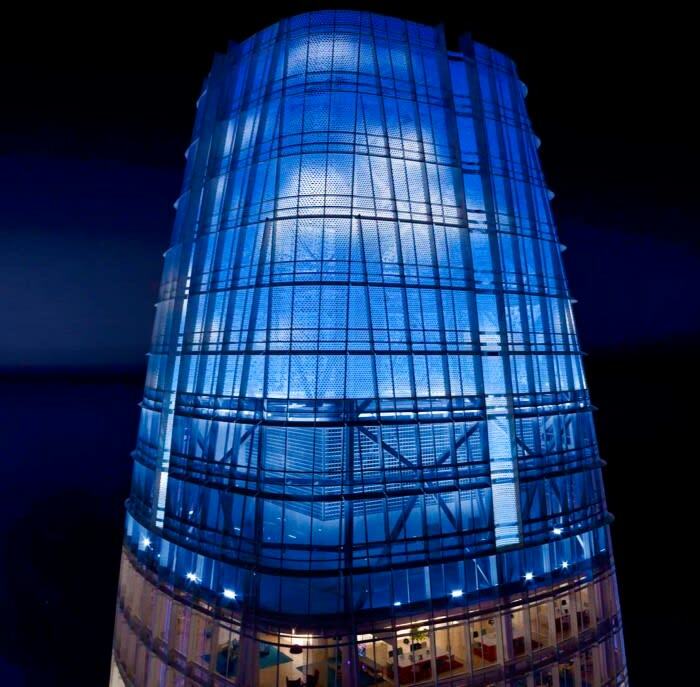 Also highly anticipated is the light show that will display at the top of the tower by artist Jim Campbell, who has illuminated spaces from SFMOMA to Hong Kong. 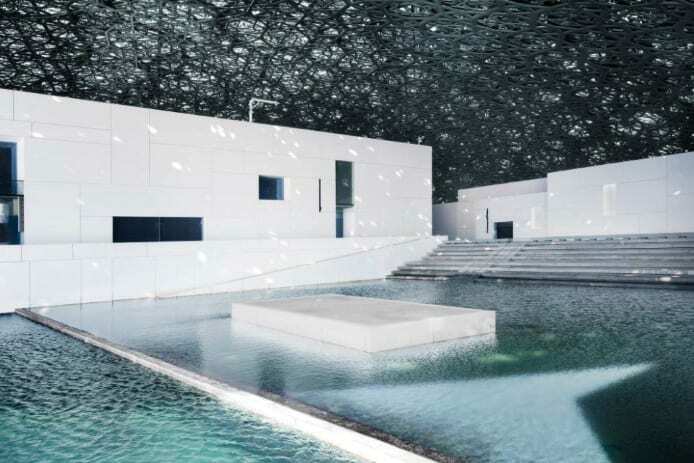 His work will use 11,000 LED lights to project low-resolution imagery onto the crown’s perforated metal skin. 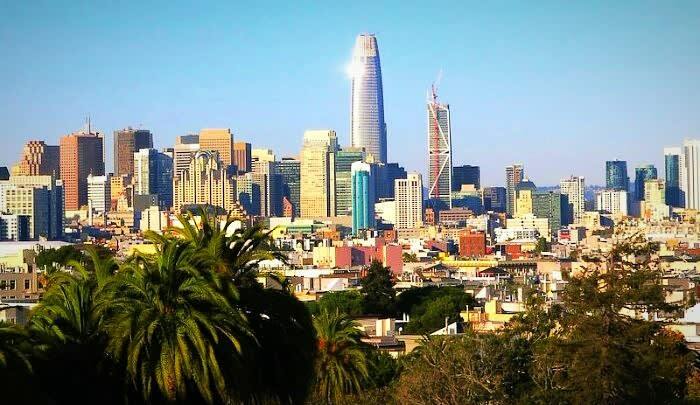 San Francisco Chronicle architecture critic John King recently wrote a fascinating piece on how the tower symbolizes a new era in the City’s history. 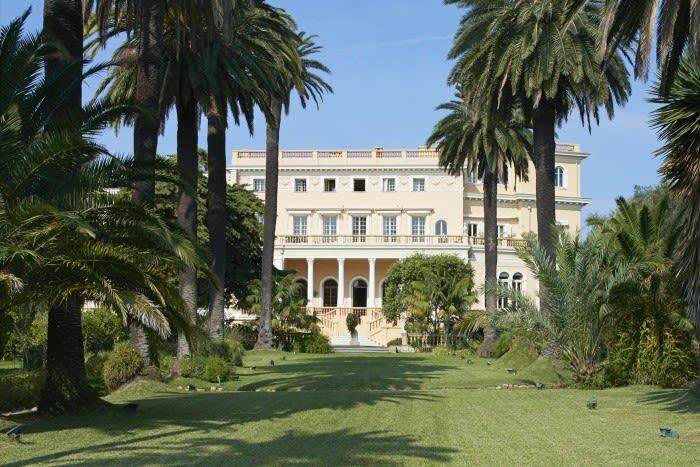 In the September 2016 issue I told you about Villa Les Cèdres, located at St. Jean Cap Ferrat on the French Riviera, which was rumored to be available with a 10-figure price tag, making it the world's first billion dollar listing. 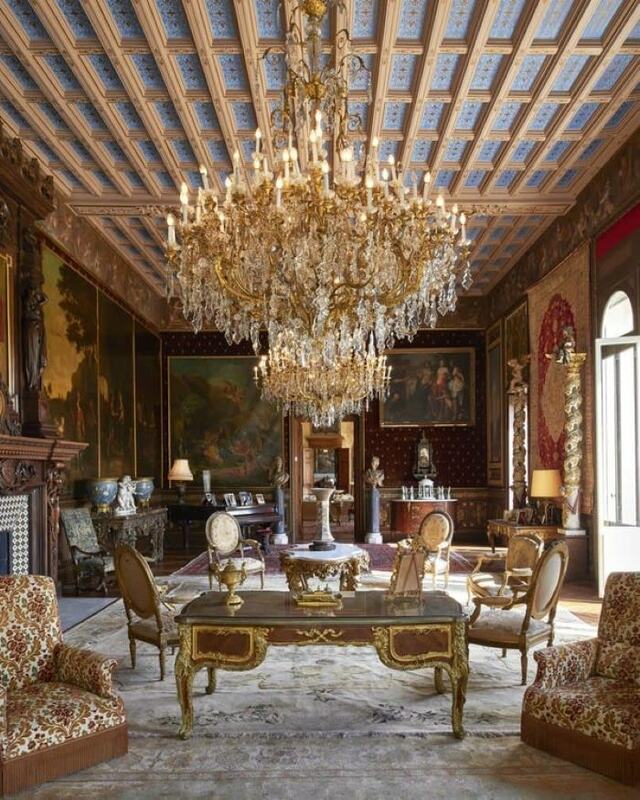 This month the incredible estate is now officially on the market -- the price this time: $417 million! 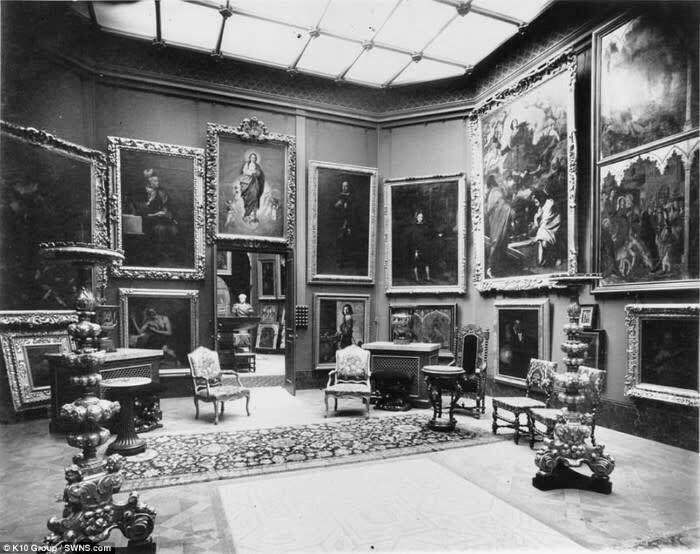 The 19th century property, with 14,000-square-foot villa, was purchased in 1904 by King Leopold II, whose blue-and-gold sigil is mounted on one of the silk-covered walls of the sitting room (below). 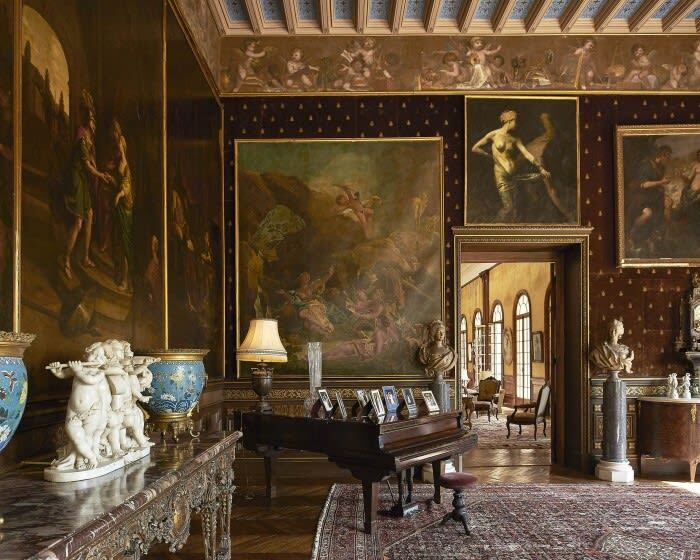 Portraits of Leopold's mistress, Blanche Delacroix, a former "cabaret dancer" from Paris who moved into the villa at 18 and was given the title of Baroness de Vaughan, also hang in a sitting room. 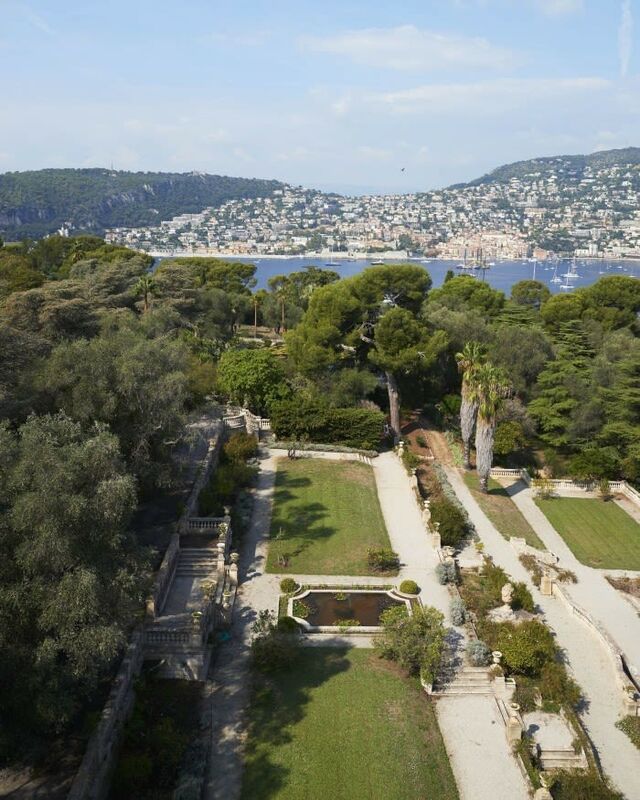 Neighbors include Andrew Lloyd Webber and Microsoft co-founder Paul Allen, whose "Villa Maryland" is also among the very best at Cap Ferrat. 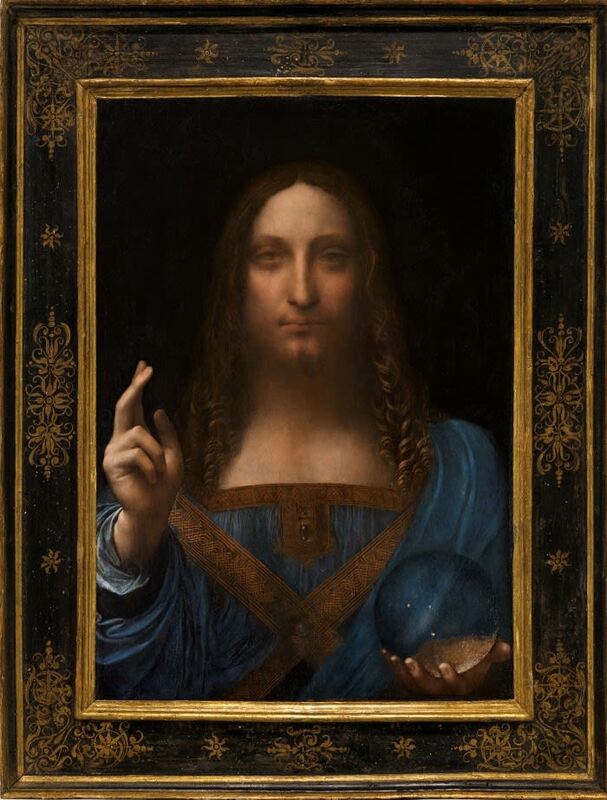 For about the same price, a 500-year-old painting of Christ believed to have been painted by Leonardo da Vinci has been sold in New York for a record $450 million, breaking all world records. It was owned by King Charles I and II, then got lost to history for over 100 years. 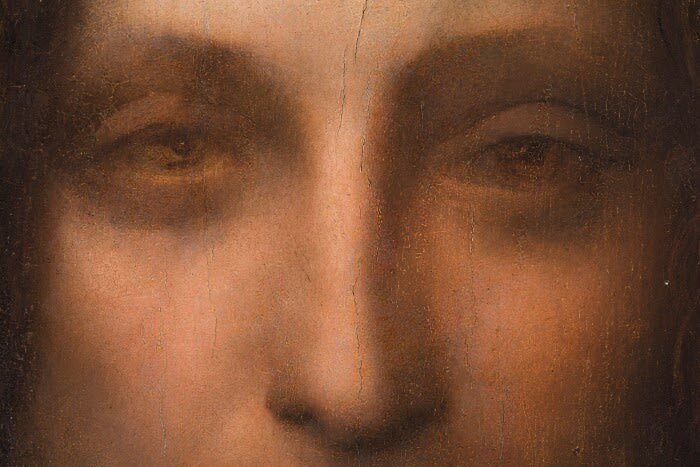 One fascinating fact is that it was auctioned in London in 1958 for about $50, as the painting was thought to be the work of a follower of Leonardo and not Leonardo himself! After it was "rediscovered" in 2005, Russian billionaire Dmitry E Rybolovlev is reported to have bought it in a private sale in May 2013 for $127.5 million. 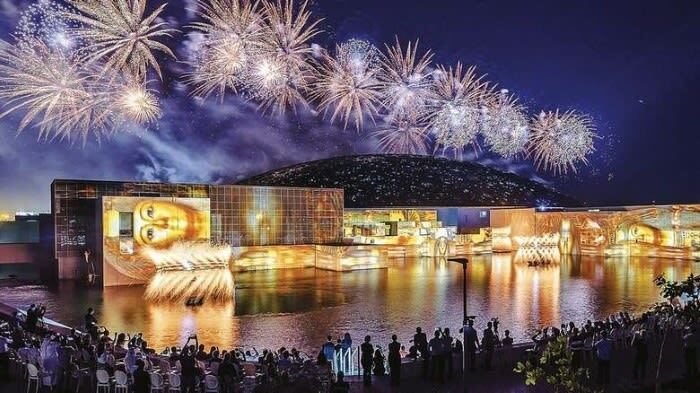 Christie's Auction House hasn't revealed who purchased it, but speculation is it could be a buyer from Asia or even be on the way to the new billion dollar Louvre in Abu Dhabi, which opened with a fabulous fireworks display last month. 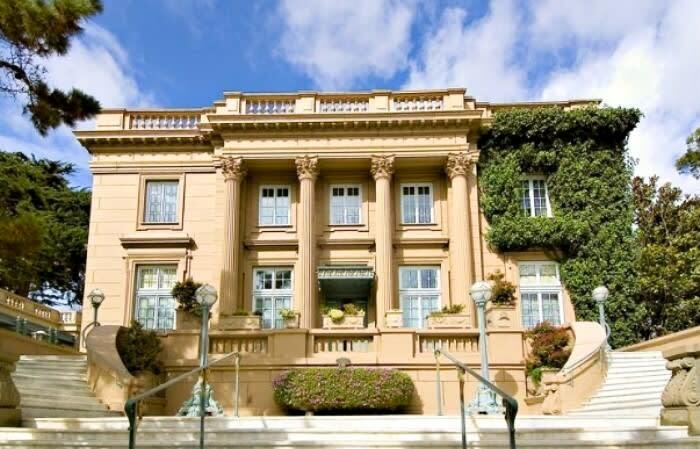 Doughty House, as it's known, is now undergoing a $132,000,000 renovation which will transform it into one of the world’s most palatial residences. A team of 120 contractors are working daily and putting in as much as 500,000 man hours to restore the property back to its former glory. 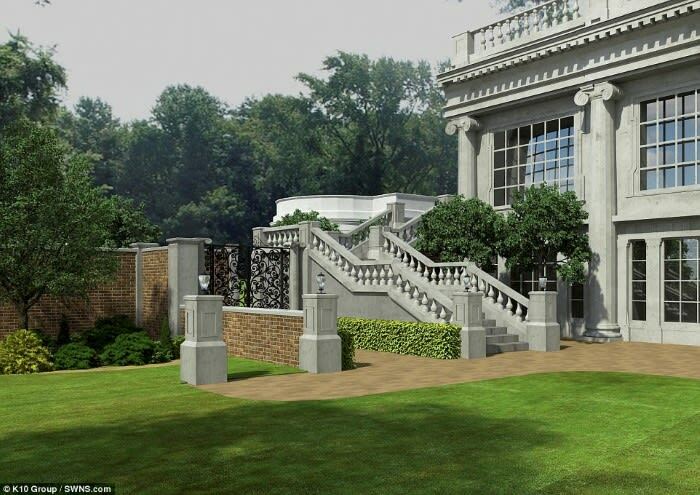 The property, which is 40 times the size of the average English home, has specialist artisans from England, Scotland, Italy, France and California working on it. When finished, Doughty House will have 48 chandeliers, 9,000 reclaimed bricks, 70 miles of high-tech cabling, 12 grand fireplaces and millions of dollars of bespoke joinery. 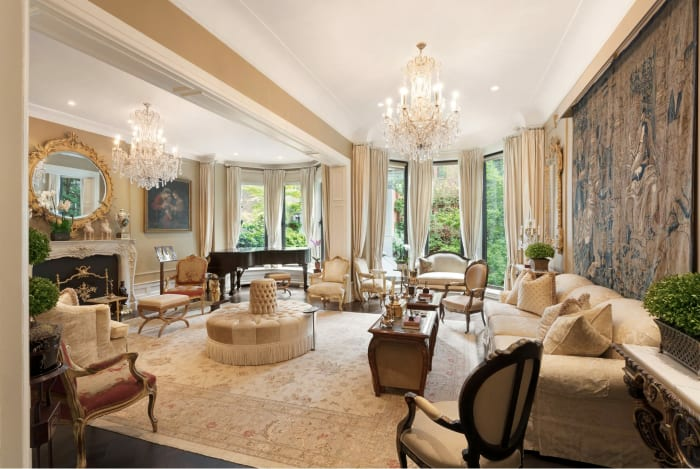 On the worldwide celebrity real estate merry-go-round legendary cabaret performer Michael Feinstein’s Upper East Side townhouse sold quickly after going on the market in September for $15.9 million -- and with guests such as Tony Bennett, Liza Minnelli, and Stephen Sondheim, if those walls could only talk! 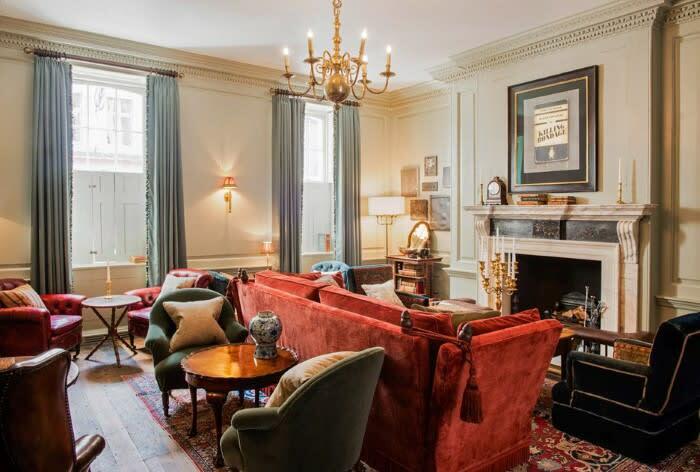 Several fashion designers have placed their homes on the market. 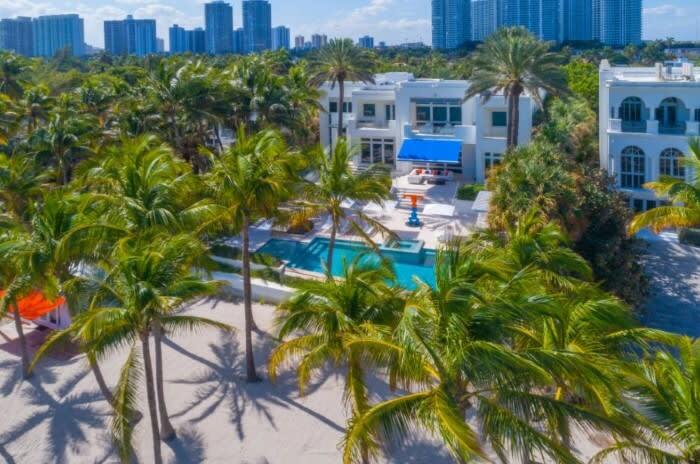 Tommy Hilfiger is listing his Golden Beach, Florida home for $26 million, Max Azria's Miami condo is available for $8.9 million, and 93-year old Roman couturier Renato Balestra is asking $4.95 million for his condo on Miami Beach Marina. 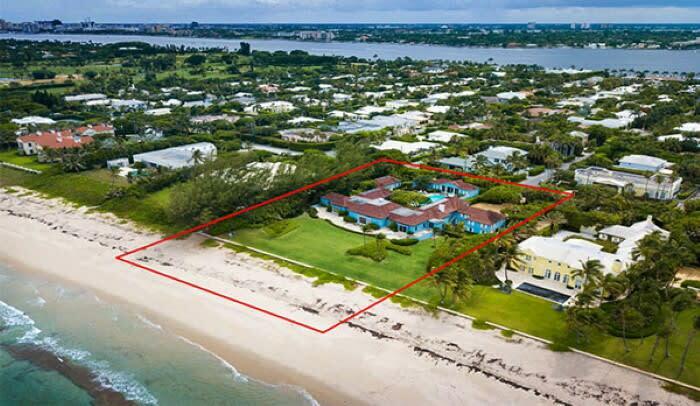 The Palm Beach estate of 1950s fashion designer Philip Hulitar has just gone on the market for $41.9 million. 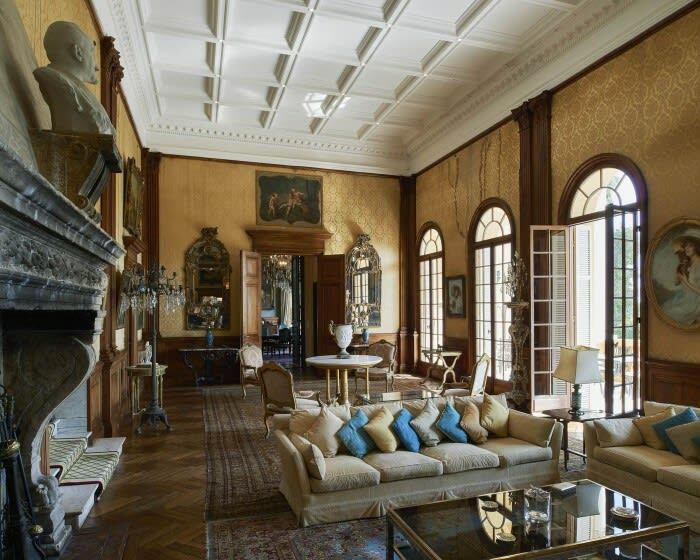 Designed by Marion Sims Wyeth, the same architect responsible for Mar-a-Lago club, the 1945 home is located on a 1.5 acre estate with 240 feet of direct ocean access. 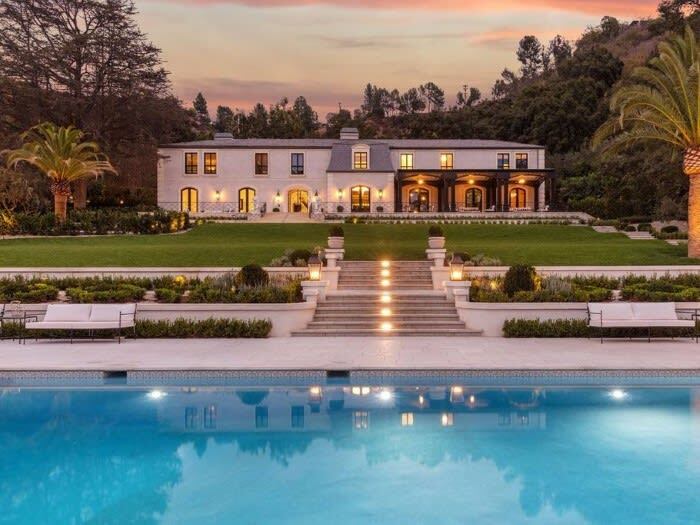 In Los Angeles, menswear designer Jeffrey Rudes (founder of luxury denim brand J Brand, and a new line called L’Agence) has put his elegant Coldwater Canyon estate on the market for $45 million. 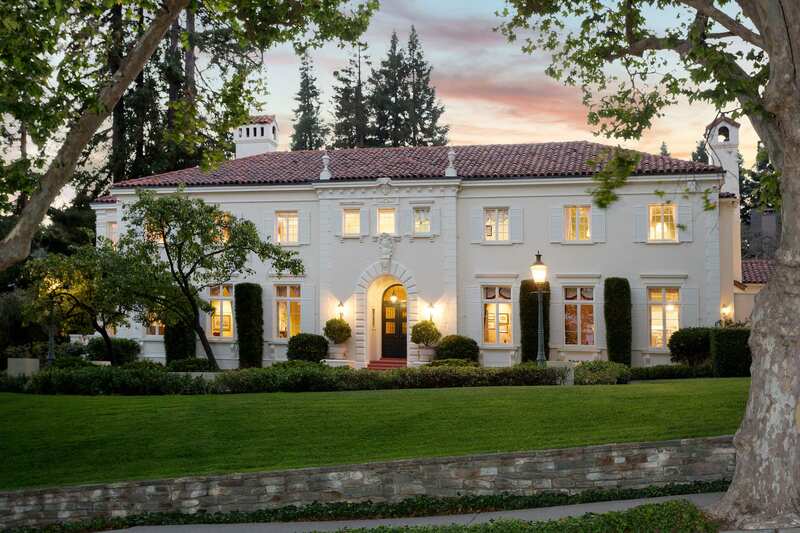 Nearby, Guess co-founder Paul Marciano just sold his Beverly Hills mansion for $18.25 million. 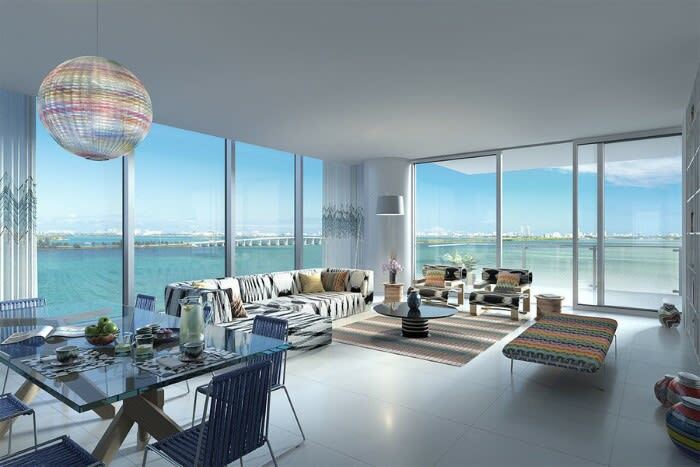 One of the most exciting examples of the convergence of fashion and real estate took place last month with the ground breaking of Missoni Baia in Miami -- attended by legendary 85-year old fashion designer Rosita Missoni. 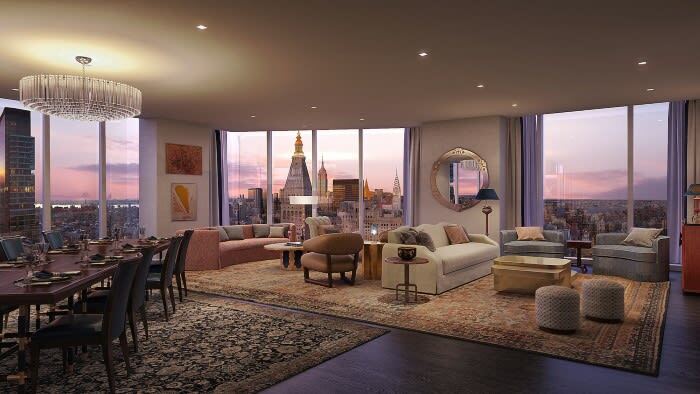 Developed by Russian billionaire Vladislav Doronin, the 57-story waterfront building designed to complement the Missoni style is expected to be completed in 2020. 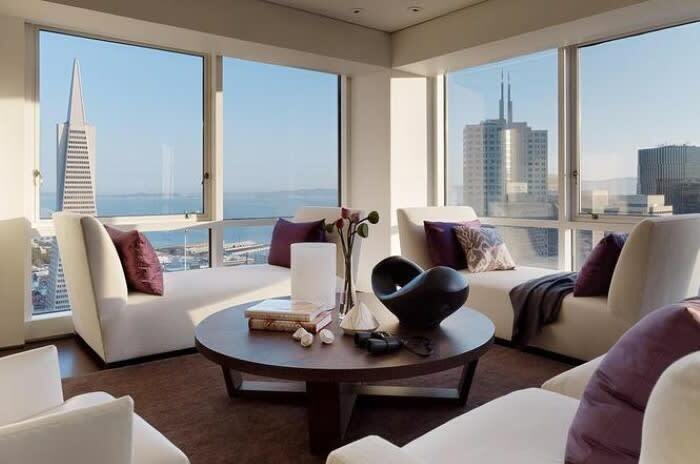 Other than having a fashion-forward image, what is the hottest amenity in the new crop of ultra-luxury highrises? Upscale entertaining spaces (like these) with beautiful design and hotel-like services, perfect for hassle-free entertaining. 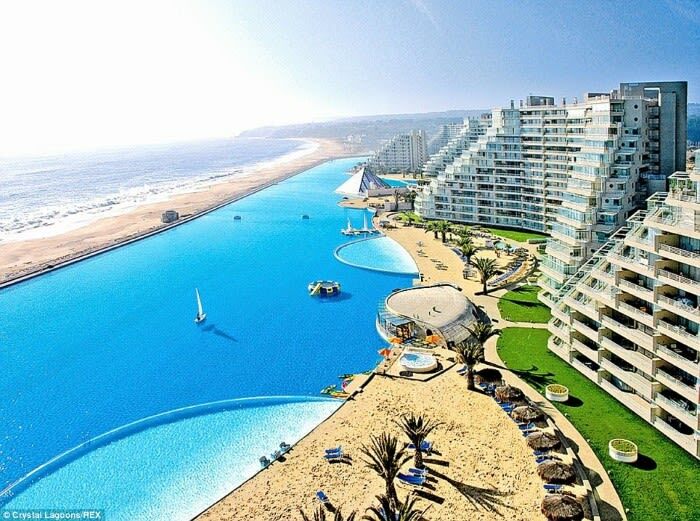 The other cutting edge new amenity are the gigantic man-made lagoons created by a firm called Crystal Lagoons, founded by Fernando Fischmann. Seen in some of the new luxury housing developments -- from Chile (the world headquarters) to the United Arab Emirates, to Mexico and the US -- they've developed a pioneering, innovative, and environmentally sustainable technology that has been patented worldwide, allowing crystal clear lagoons of unlimited sizes to be built and maintained at very low costs anywhere in the world, using minimal amount of chemicals and energy. 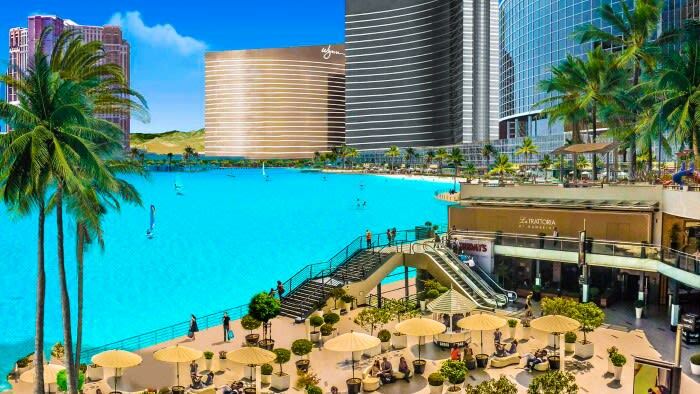 In fact, a lagoon will form the centerpiece of Steve Wynn's incredible new $1.5 billion Las Vegas project: Wynn Paradise Park, scheduled to begin construction in January. The lake will be surrounded by white-sand beaches, a one-mile long boardwalk, a carousel, zipline, and bumper car racing course. Every night there will be a parade with a dozen floats, like Carnivale in Rio! 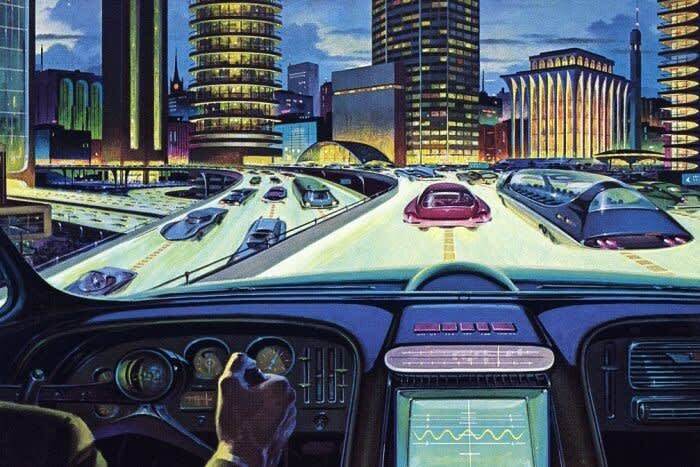 Are We Entering the "Imagination Age"? 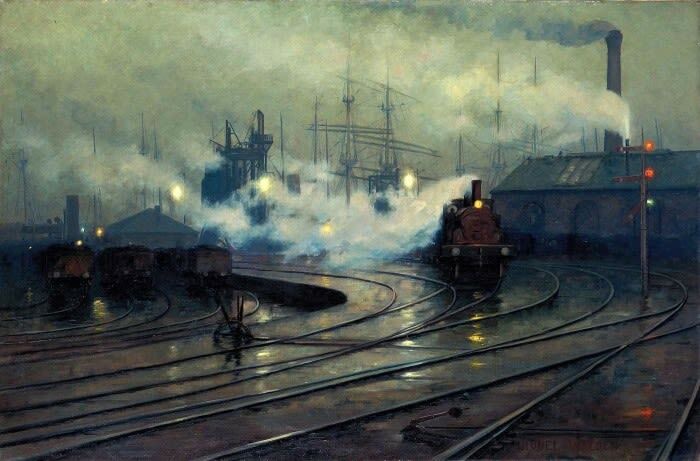 The past 250 years have been roughly divided by four major eras, starting around 1760 with the Industrial Revolution (through 1840), which was the transition to new manufacturing processes, followed by the Technological Revolution, a phase of rapid industrialization that lasted through World War I. Then came the Digital Revolution which began in the late 1950s, leading directly to our current era, The Information Age. What’s coming next, according to this thought-provoking article from Singularity University, is the new Imagination Age, where there will be a shift from information sector employment towards jobs where creative thinking creates economic value. 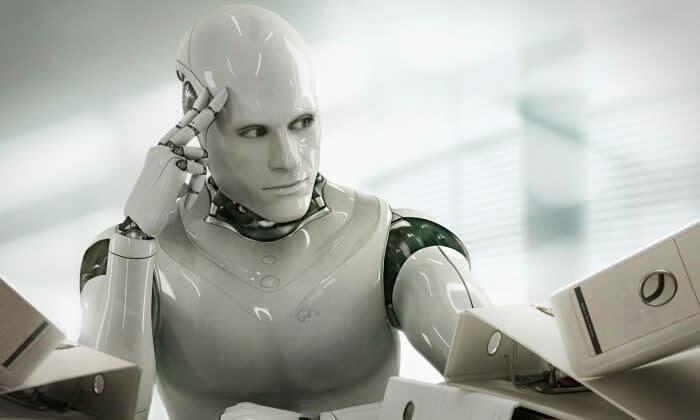 With a report by the World Economic Forum revealing that almost 65 percent of the jobs that today's elementary school students will be doing in the future don't even exist yet, the question is what will these jobs be? 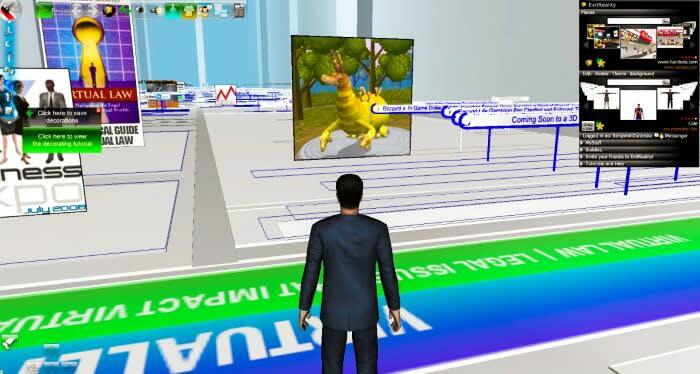 Ready for the 3D Internet? Driven by technological trends like virtual reality, we may see the rise of a "3-D Internet", where creativity and imagination will become the primary creators of economic value. 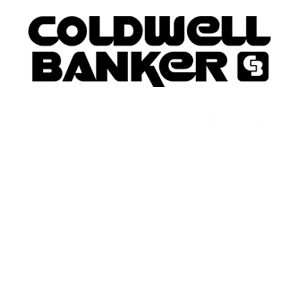 Naturally, I wonder what does this mean for Bay Area real estate? 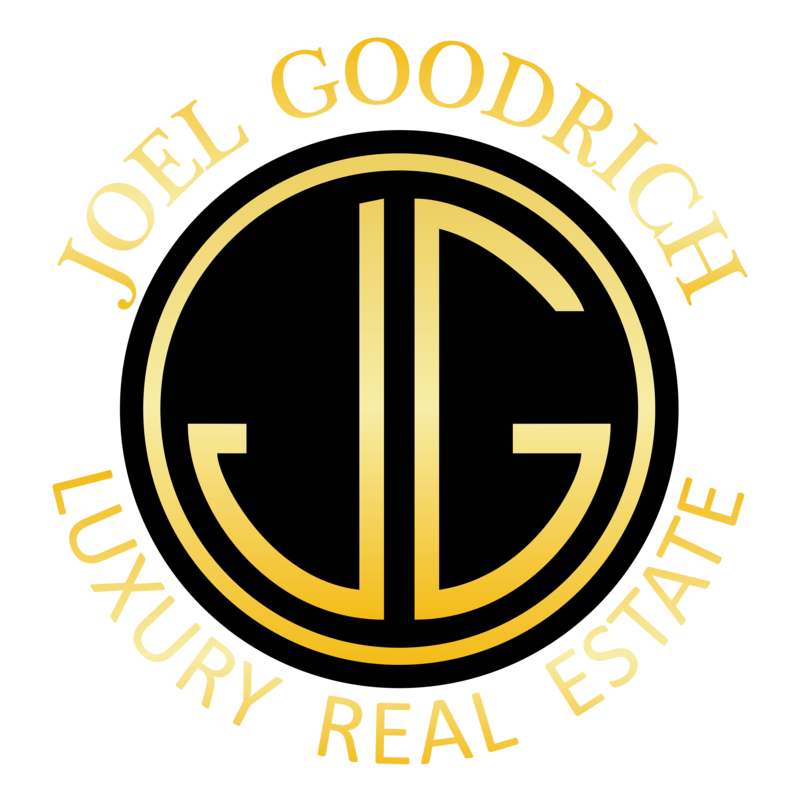 With some of the most creative minds on the planet already located here, and more coming from around the world, we are well poised to transition to this next age... and that is definitely positive news for our local employment and our real estate! 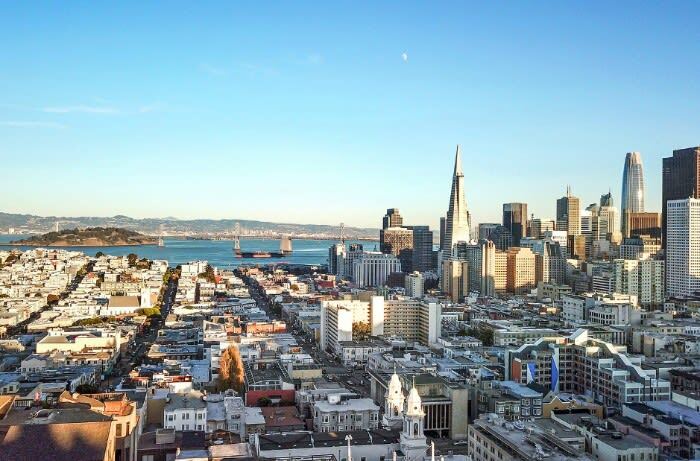 As we enter into this special Holiday Season, the Bay Area continues its extraordinary tradition of giving. 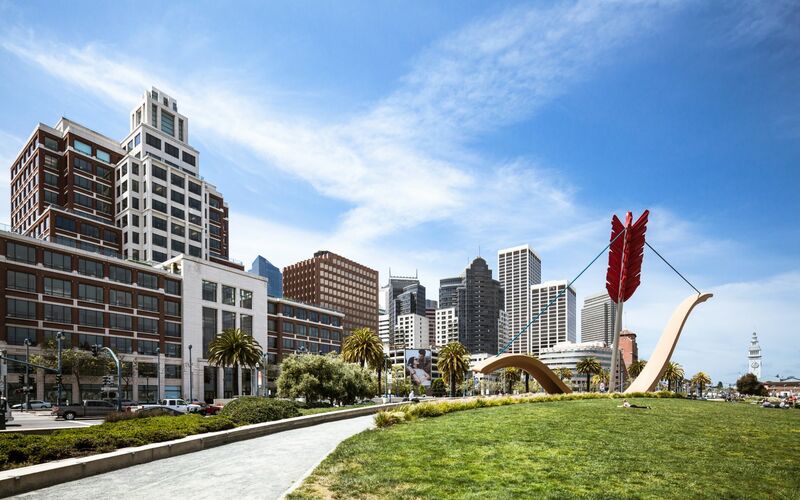 The SF Business Times compiled a fascinating look at the top 15 largest gifts, and the philanthropists behind them this year, totaling over $900,000,000 -- there truly is no place like home! 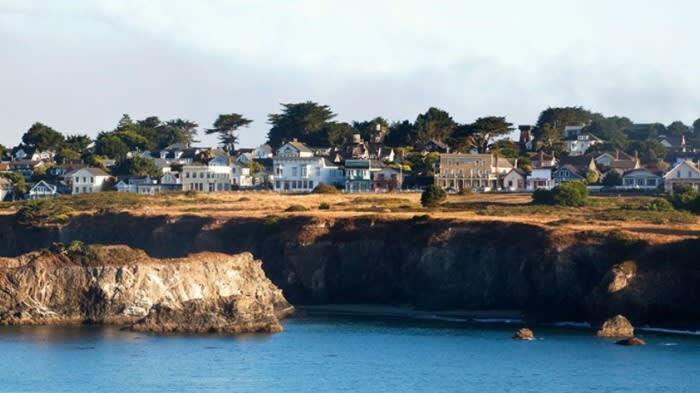 This month I am very pleased to be supporting Operation USA’s annual gala at San Francisco’s iconic Le Petit Trianon. This worldwide organization supports health and education programs in order to help children and families at home and abroad recover and thrive in the wake of disasters, disease, violence and endemic poverty -- and has worked in numerous countries from Bangladesh to Rwanda and many others. 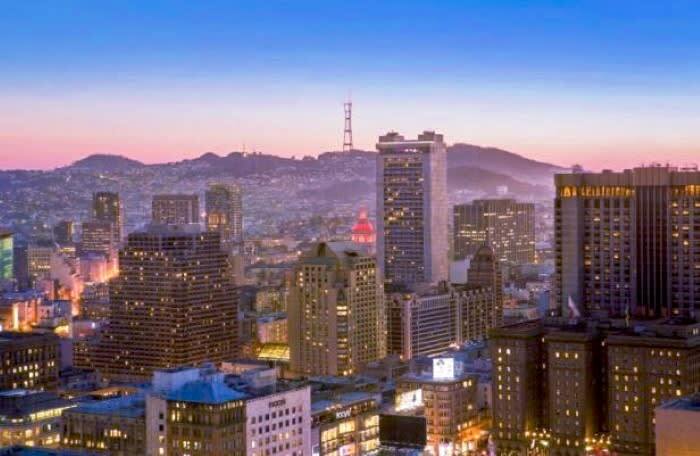 I'm also delighted to be supporting our wonderful San Francisco Opera with their spectacular Evening on the Stage. Wishing you and your loved ones a most Wonderful and Joyful Holiday Season! Kathryn Bigelow, Kate Winslet, Emily V. Gordon & Kumail Nanjiani honored by SFFILM. 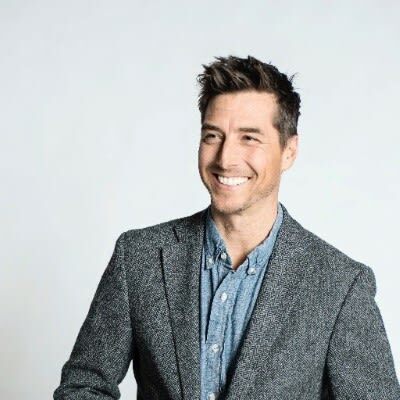 Angel Island Conservancy and Olympic gold medalist Jonny Moseley host this gala dinner. Corinthian Yacht Club, 43 Main St., Tiburon, 5:30PM. 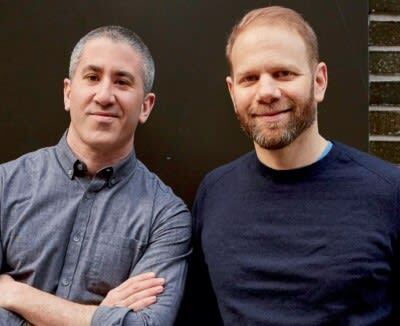 The inaugural celebration of "The Recode 100." Regency Ballroom, 1300 Van Ness, 5:30 PM. 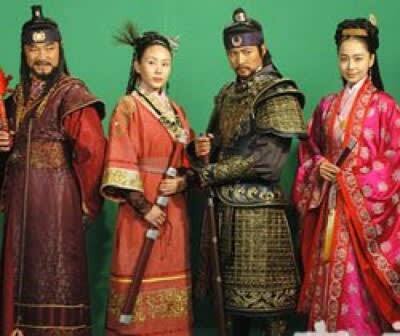 Delve into Couture Korea with textile historian Lee Talbot and costume historian Minjee Kim. Asian Art Museum, Samsung Hall, 200 Larkin St., SF, 11:00AM. A special Bay Area premiere screening, meet & greet, and book signing. 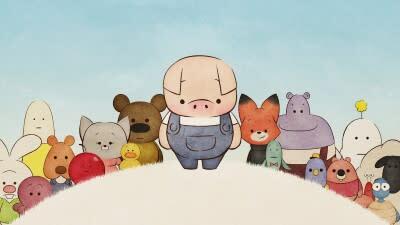 Recommended for children aged 5+. Castro Theatre, 429 Castro St., SF, 10:00 AM. 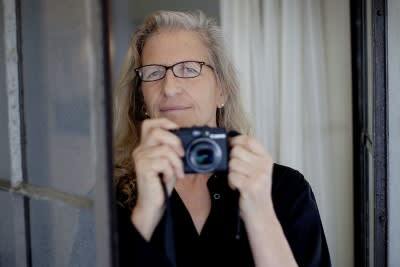 Annie Leibovitz will present a selection of defining works from her newly published Annie Leibovitz: Portraits 2005–2016. Nourse Theater, 275 Hayes St., SF, 7:30PM. Cocktails, candle lighting and conversation, and a family-style dinner with Chef Michael Solomonov. Tickets include a signed copy of Federal Donuts. The Alembic, 1725 Haight St., SF, 5:00PM. Meet the curator and view the latest jewelry collection. Runs through Dec. 17. 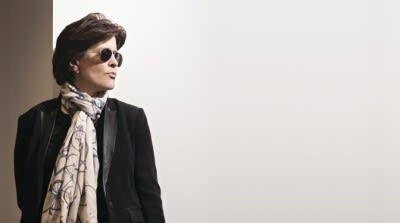 Barneys New York, Mezzanine, 77 O'Farrell St., SF, 10:00AM. 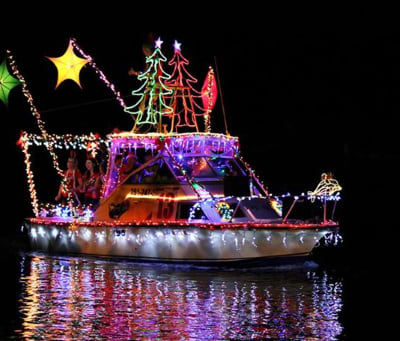 Enjoy the oldest lighted boat parade on the SF Bay. 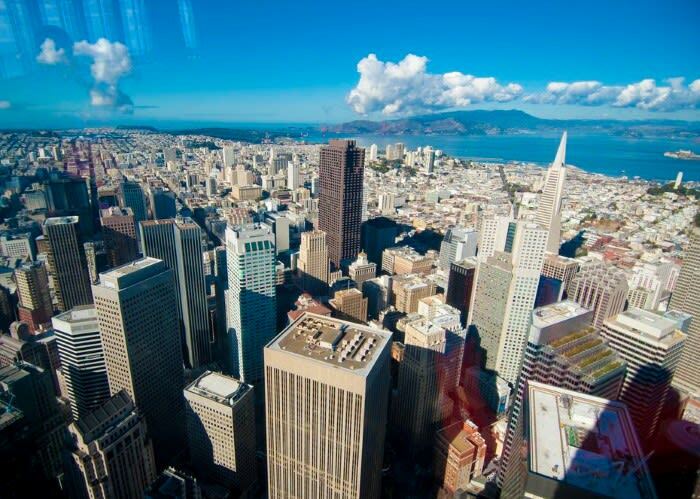 Aquatic Park, PIER 39, the Marina Green, and Crissy Field, 6:00 PM to 8:00 PM. Dancer Misty Copeland in conversation with Laurene Powell Jobs. Nourse Theater, 275 Hayes St., SF, 7:30PM. 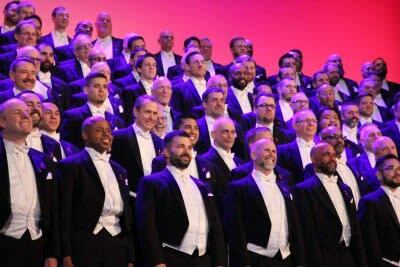 SF Gay Men’s Chorus presents the 28th Annual iteration of "Home for the Holidays". Castro Theatre, 429 Castro St., SF, shows at 5:00 PM, 7:00 PM & 9:00 PM. The 32nd Annual Japanese Bell-RInging Ceremony, featuring a 2' 100 lb. temple bell. Asian Art Museum, Samsung Hall, 200 Larkin St., SF, 9:30 AM.